Also, the iPhone 6 lands in China, Microsoft plans New York store, Photoshop comes to Chromebooks, Samsung releases pun-filled Galaxy Note 4 ad, and the world’s first underwater unboxing. The saga of BendGate Trolling Apple: The 18 Best Reactions To The iPhone 6 Bending [Weird & Wonderful Web] Trolling Apple: The 18 Best Reactions To The iPhone 6 Bending [Weird & Wonderful Web] Apple was trolled hard over the iPhone 6 Plus bending, and we have compiled the best reactions to BendGate just for you. Read More continues, with the latest twist in the tale being people testing how easy it is to bend the iPhone 6 Plus in Apple retail stores. This obviously isn’t a good idea, and we’re covering it to warn people off doing so. If you buy an iPhone 6 then bend it to your heart’s content, but all the while it’s sitting in an Apple Store, doing so could be considered criminal damage. As can be seen in the video above, two 15-year-olds thought it was a good idea to film their little experiment and upload the results to YouTube. Meanwhile, Wall Street analyst Walter Piecyk tweeted how he tried and failed to bend an iPhone 6 Plus in an AT&T store. To be fair to the kids seen bending an iPhone 6 Plus in the video above, they have posted a follow-up video apologizing for their irresponsible actions. They have also insisted they only damaged one iPhone, and that they’re willing to pay for it if necessary. So, they’re still idiots, but they do at least own up to their idiocy. Hewlett-Packard has unveiled a new set of HP Stream devices, with laptops starting at $199 and tablets starting at $99. All four new devices run on Windows 8, offer 1TB of OneDrive storage, and include access to Office 365 Personal for one year. The laptops consist of the HP Stream 11 for $199 and the HP Stream 13 for $229. The tablets consist of the HP Stream 7 for $99 and the HP Stream 8 for $149. The full specs aren’t yet available, but the laptops boast a fanless design thanks to 32GB of flash storage. Just like most Chromebooks Everything You Need To Know About Switching To A Chromebook Everything You Need To Know About Switching To A Chromebook Chromebooks run a slimmed-down operating system optimized for getting on the web with just the Chrome browser and Chrome apps. Can you switch to a Chromebook? Read More . Mike Nash, a vice president at HP, said in a statement, “The HP Stream products announced today hit the mark with sleek design, portability, access to free cloud storage, and the familiarity of Windows and Office 365.” These are all positives, on the other hand there is Windows 8, which is sure to put some people off. 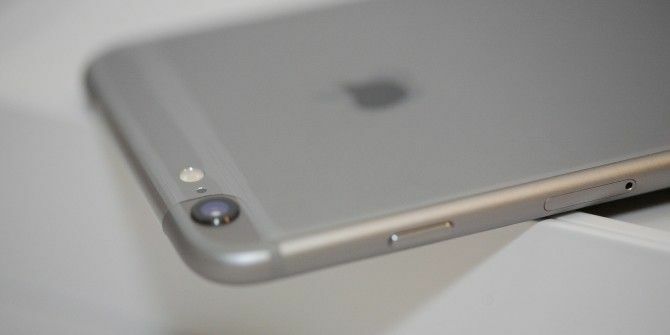 Apple has announced the iPhone 6 and iPhone 6 Plus are coming to China. Pre-orders begin on Oct. 10, with the devices available to buy from retail stores from Oct. 17. This would obviously only be of interest to readers in mainland China were it not for the fact there’s a healthy black market for smartphones in the country. This led to scenes such as those seen in the video above, with people you wouldn’t normally expect to be queuing for a new iPhone Why You Should Never Queue For New Gadgets [Opinion] Why You Should Never Queue For New Gadgets [Opinion] I personally cannot fathom the mindset of people who queue for the latest gadget on launch day. I've tried, I really have, but I think it's a bizarre choice to queue up for hours or... Read More doing exactly that. Interesting news from Microsoft re. its new Fifth Ave store. Apple is just five blocks away! Microsoft is opening a flagship retail store in Manhattan, and it has chosen a location just a few blocks away from the iconic, cube-shaped Apple Store. The new Microsoft Store will open sometime in 2015 after five years of planning. 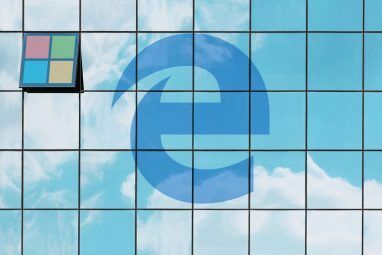 The space isn’t cheap, meaning Microsoft will have to shift plenty of stock if it ever hopes to recoup the investment. 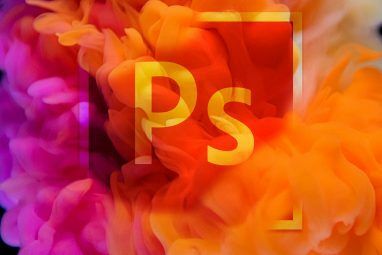 Photoshop is finally available on Chrome OS, with Adobe launching a streaming version of the ever-popular photo-editing software. Unfortunately, this isn’t yet available to all, being limited only to “U.S.-based Adobe education customers with a paid Creative Cloud membership.” Which probably isn’t you. Still, this shows Photoshop An Idiot's Guide to Photoshop, Part 1: Easy Photoshop An Idiot's Guide to Photoshop, Part 1: Easy Photoshop At first glance Photoshop is confusing, but you can quickly be on your way to becoming a Photoshop guru. 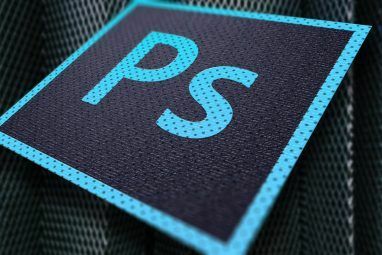 This is our introductory guide on how to do basic functions in Photoshop. Read More is entirely feasible on Chrome OS, and suggests Adobe is climbing fully on board the Google gravy train. Prepare to be shocked, as Samsung has made an ad which doesn’t mention Apple even once. Instead, the new ad for the Galaxy Note 4 mentions “Note” more times than you’ll be able to count. This is a great exercise in brand awareness, and a reminder than when Samsung focuses on extolling the virtues of its own products rather than lambasting the competition, the results are memorable. And finally, while most unboxing videos are an absolute waste of time 5 Types Of YouTube Videos That Need To Die 5 Types Of YouTube Videos That Need To Die These are the genres of videos that no one should watch -- five examples of amateur video that, should you value your place in society, you should avoid uploading to YouTube at all costs. Read More for creators and viewers alike, this one is at least original. It features the world’s first underwater unboxing, with the Sony Xperia Z3 the lucky recipient of this special treatment. Unfortunately, being underwater means everything other than the phone is ruined, but the Xperia Z3 survives the ordeal. Which is all that really matters. What should Apple do to prevent idiots bending iPhones in retail stores? Are you tempted by the HP Stream laptops or tablets? Is the Galaxy Note 4 commercial a welcome departure for Samsung thanks to its distinct lack of Apple baiting? Explore more about: Adobe Photoshop, iPhone 6, Microsoft. I must admit I'm tempted. I'm currently using a Chromebook, but getting the full Windows experience for a similar price is rather bargainous. As A Hongkongese I can tell you The new iPhone(s) are usually sold at higher prices than purchased on release month. Stream devices are at least interesting because they're effectively free hardware for the cost of a Windows license and Office 365 subscription. Even with relatively tiny amounts of local storage, I'm going to be interested in what I can do with one since it'll have full Windows device driver and desktop application support. Hopefully they have unlocked bootloaders as well.